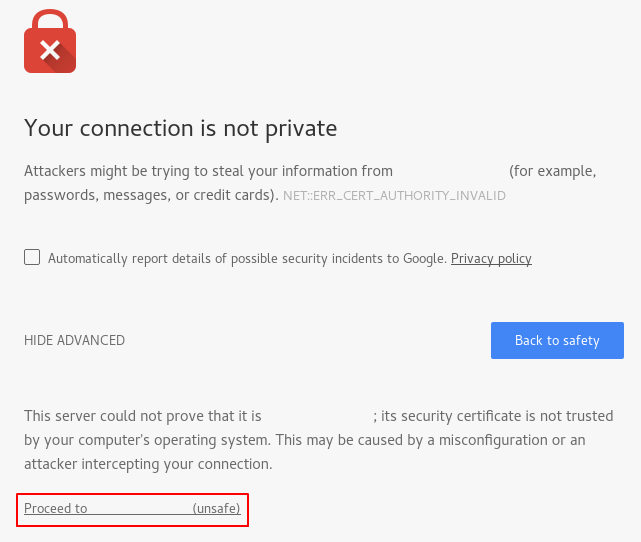 This article will guide you through the steps to create a self-signed SSL certificate in order to use with an Nginx web server on a CentOS 7 server to secure web traffic. 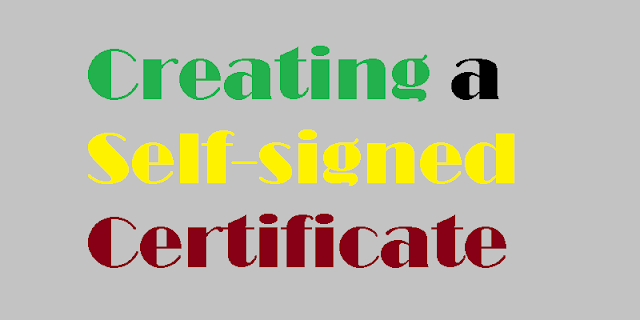 To begin with self-signed certificate creation process, you need to log into your CentOS 7 Server as a sudo (non-root) user. You should make sure that the Nginx web server is installed on your CentOS 7 machine. Jan 05 16:20:40 centos-7-server systemd: Started The nginx HTTP and reverse proxy server. Next, we need to make sure that we are not blocking access to port 80 and 443 with a firewall. If you are not using a firewall, you can skip ahead to the next section. You should now be able to access the default Nginx page through a web browser. You will be asked a series of questions. Fill out the prompts appropriately. The most important line is the one that requests the Common Name (e.g. server FQDN or YOUR name). You need to enter the domain name associated with your server or your server's public IP address. The default Nginx configuration in CentOS is fairly unstructured, with the default HTTP server block living within the main configuration file. Nginx will check for files ending in .conf in the /etc/nginx/conf.d directory for additional configuration. We will create a new file in this directory to configure a server block that serves content using the certificate files we generated. We can then optionally configure the default server block to redirect HTTP requests to HTTPS. Now, we will add some additional SSL options that will increase our site's security. When you are finished, save and exit. 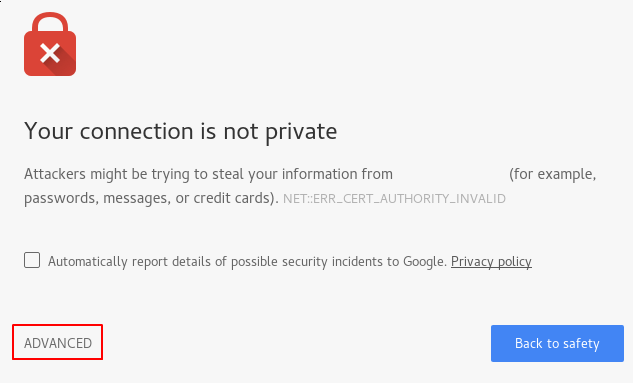 This configures Nginx to use our generated SSL certificate to encrypt traffic. The SSL options specified ensure that only the most secure protocols and ciphers will be used. Note that this example configuration simply serves the default Nginx page, so you may want to modify it to meet your needs. Save and close the file when you are finished. This configures the HTTP on port 80 (default) server block to redirect incoming requests to the HTTPS server block we configured. Now that we've made changes, we can restart Nginx to implement new configuration. The Nginx process will be restarted, implementing the SSL settings we configured. You should be taken to your site. If you look in the browser address bar, you will see some indication of partial security. This might be a lock with an "x" over it or a triangle with an exclamation point. In this case, this just means that the certificate cannot be validated. It is still encrypting your connection. You have successfully configured your Nginx server to use strong encryption for client connections. This will allow you serve requests securely, and will prevent outside access from reading your traffic.